Put your best foot forward on every run with the ASICS Men’s Gel-Pulse 10 Running Shoes. 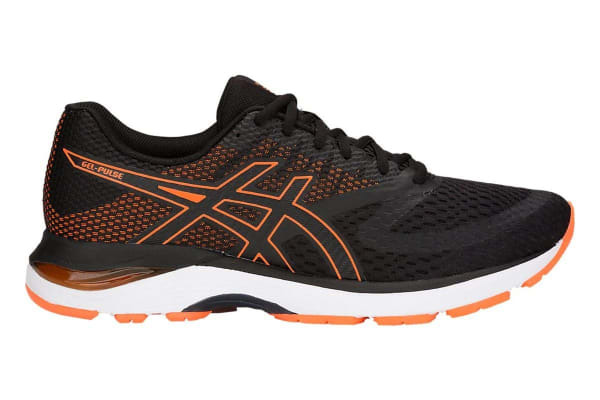 Featuring responsive gel cushioning and a SpEVA midsole that moulds to your foot for a little added kick in every step, the ASICS Men’s Gel-Pulse 10 Running Shoes will help you run further, train harder and get your heart rate up! With a breathe-easy mesh upper and Guidance Trusstic System to stabilise and enhance your natural gait, the Gel-Pulse runners hug your feet and deliver a superior feel so you comfortably power on all day long.